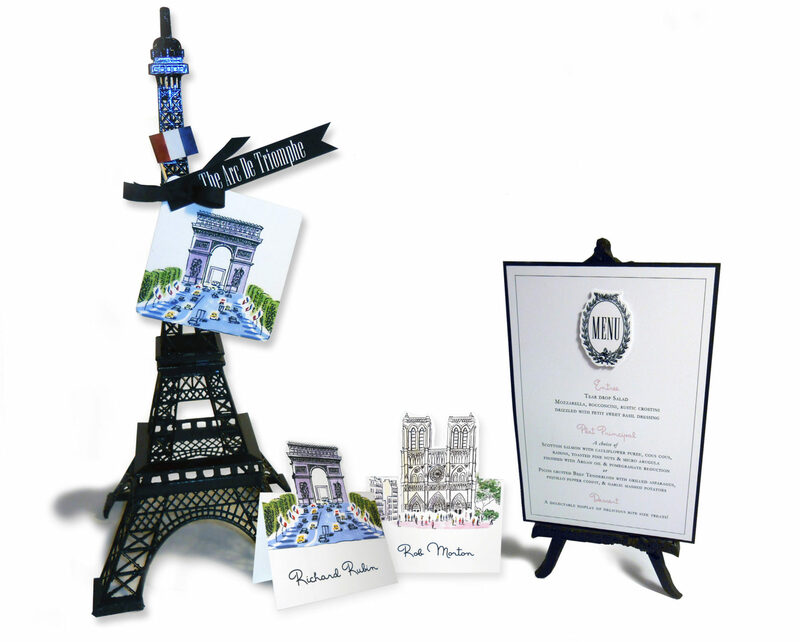 Inspired by the sights, style and shopping of the City of Lights! 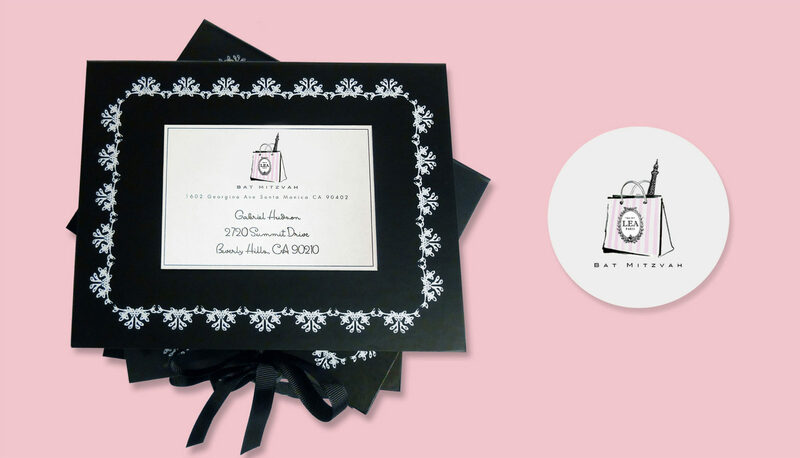 An elegant silkscreened box with a grosgrain-ribbon closure contains a custom-designed shopping bag emblazoned with the event logo. 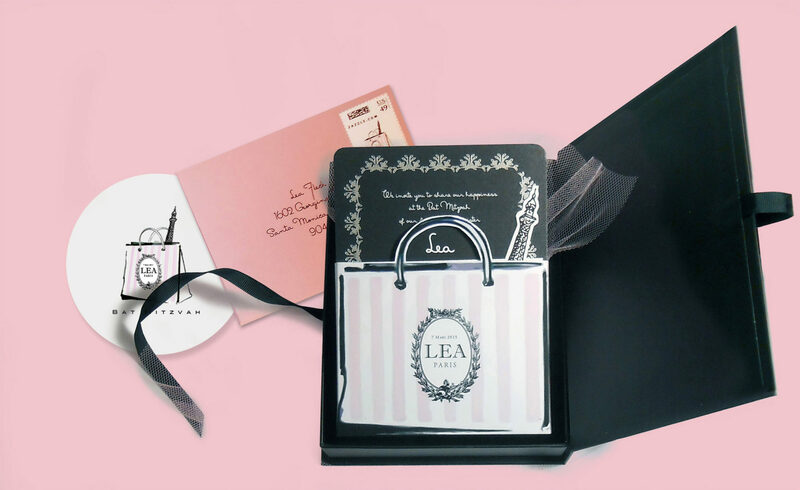 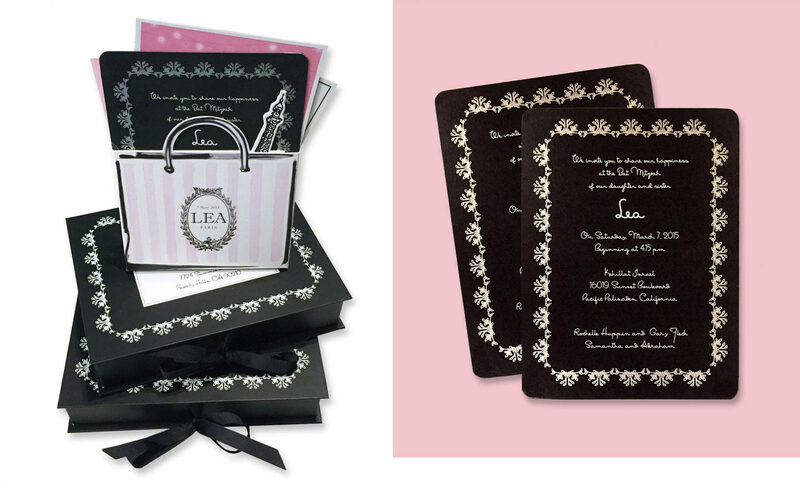 Inside are the invitation, Shabbat and brunch cards, response card and envelope – embellished with a chic tulle accent. 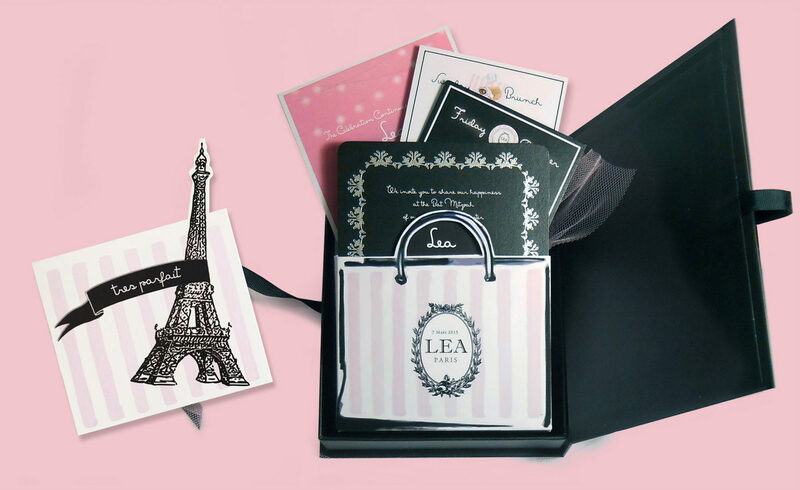 Ooh la la!